In attendance were members of GSU, National Nurses United, and the two panelists, Al Ramirez, a co-founder of the Caucus of Rank and File Educators (CORE), the organization that spearheaded the Chicago Teachers Union strike this past September, and Kim Bowsky, an active member of CORE, who led the discussion on building effective organizations. Graduate Students United is currently waiting on a ruling by the National Labor Relations Board regarding the status of graduate unions. Kahle said they expect to know the outcome by this upcoming January or February. 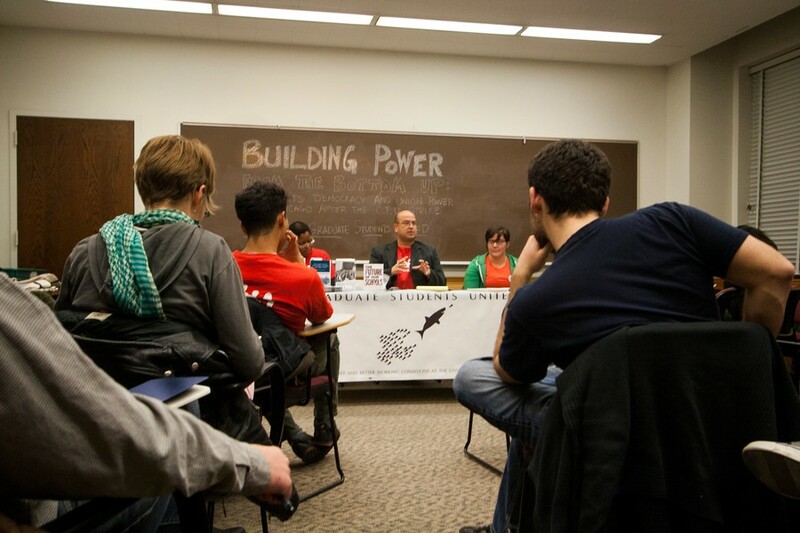 The discussion series will continue next quarter at their January meeting with the intent of bringing together graduate students who wish to unionize by discussing methods of organization and communication.